From E-trials to predictive coding and automated contracts, digital technology is ready and waiting: But the big question is will the legal space - a sector notoriously slow (some have even dared to say “archaic”) - plug in? When Australasian Lawyer spoke with Warren Riddell, a partner at Beaton Capital last week, he gave a grim prediction for the future of the legal institution: “Unless they restructure their cost base they will halve their profits within the next 10 years. It’s massive”. And he says one of the only ways for law firms to gain an advantage and differentiate themselves from competitors in the future is by drastically improving efficiencies. Riddell is not the only one beating that drum – as of late the voices urging the legal sector to start to embrace digital advances are only getting louder. 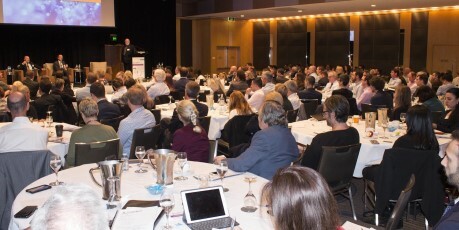 On 17-18 June Chilli IQ is holding its eighth annual Information Governance and eDiscovery summit in Sydney, with speakers spanning from big wig judges from the US, to home-grown members of the judiciary and directors of legal technology from top Australian law firms. An overriding theme will be the use of predictive coding – a type of digital coding that uses keyword searches, filtering and sampling to automate portions of documents, and it even learns as it goes. It essentially drastically reduces the need for the information to be reviewed manually by humans. These sort of digital advances are already being used in parts of the Australian legal sector. Take Melbourne-based contract management and document assembly company Exari, which was founded by two corporate lawyers and a software engineer, as an example. The company works closely with the Australian Corporate Lawyers Association (ACLA) and the pair recently identified that the “Liability, Exclusion and Indemnity” clause was the single most difficult legal clause to draft and negotiate in Australian contracts. In response, Exari proffered the use of its new automated contract tool SmartDocs that allows lawyers to add business logic and precedents to the templates, which are then delivered via a browser directly to the lawyer. Minter Ellison provided the content to be fed into the tool, and ACLA then delivered it to its members on its website. Due to its success, there are now plans to automate other tricky clauses, such as Intellectual Property. Australasian Lawyer spoke to Exari co-founder Justin Lipton and senior consultant Peter Wu about how technology such as this is changing the legal space. Wu says it’s vital that bottlenecks in legal departments are reduced to free up the legal team from having to focus on the more mundane work. Neither Wu nor Lipton agrees that automating much of the preliminary legal work will take jobs from flesh and blood workers: In fact they predict the results will be the opposite. Lipton says from his experience it actually allows paralegals and junior lawyers to do some of the work normally done by more senior lawyers because the automation process means they’re not take on as much responsibility. If the paralegal is able to put out the first draft very quickly, the time frame of the whole process will be dramatically reduced, allowing for higher value legal work and firm innovation. “The whole negotiation space is still archaic and it’s a very ripe area for automation,” says Lipton. “There’s the whole area of analytics which is really understanding the drafting and negotiation process and improving it over time – it’s something that can make a huge difference to this space, and it’s untapped. And when asked what the legal arena will look like 10 years from now considering the significant and fast-paced digital advances, both Wu and Lipton are unsure. In the same vein as this idea, judges from three continents have just conducted a mock “virtual trial” that saw lawyers in New Zealand, London and Washington watching a trial online, with court proceedings on one screen and case documents on a second. The system is being hailed as a way to streamline international cases as well as domestic ones, with savings in both time and money being the advantages. Honourable Judge Andrew Peck is a US Magistrate Judge for the Southern District of New York and will be a speaker at the Chilli IQ Information Governance and eDiscovery summit in Sydney. He says that advances such as E-Trials and predictive coding are already having significant impacts on US legal proceedings because they are vastly improving efficiency. Lawyer unfamiliarity with technology can also act as disincentives, Peck says, and warns that a fresh business model may be required before digital advances can be deployed to their fullest effect. He scoffs at concerns that computers may replace lawyers and judges sometime in the future. The article is well thought out, but I see the need for paralegals dwindling as lawyers will become better prepared to work with technology and clients are prepared to participate by supplying both background facts and disputed facts.